Another Polish Blog: Don't call me NYMPHADORA! Ich habe heute für euch noch einen Swatch aus der Magical Musings Kollektion von LacAttack. 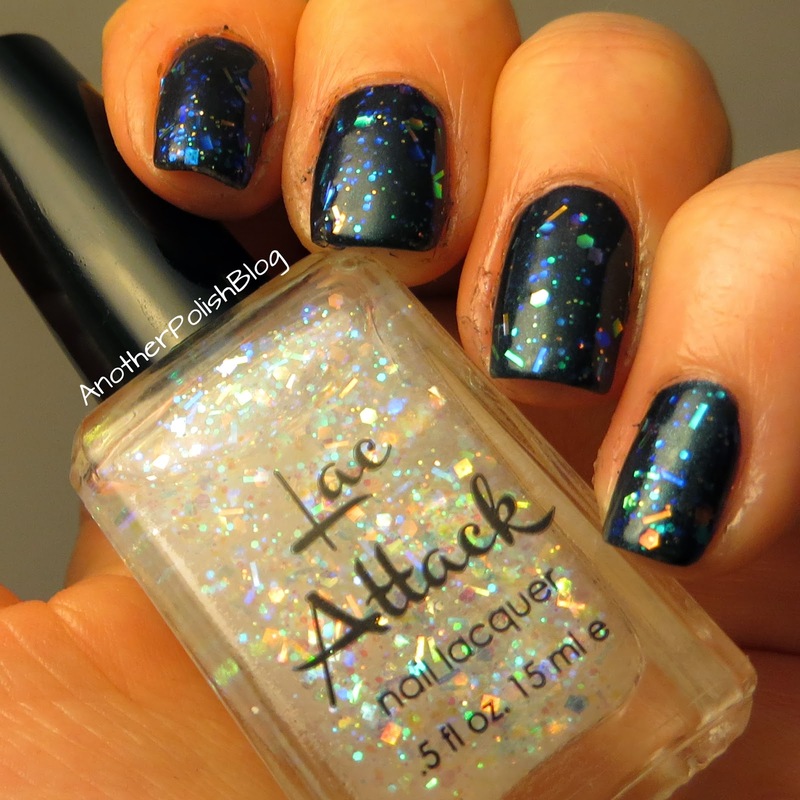 Alle anderen Swatches und Designs mit Lacken von LacAttack findet ihr HIER. 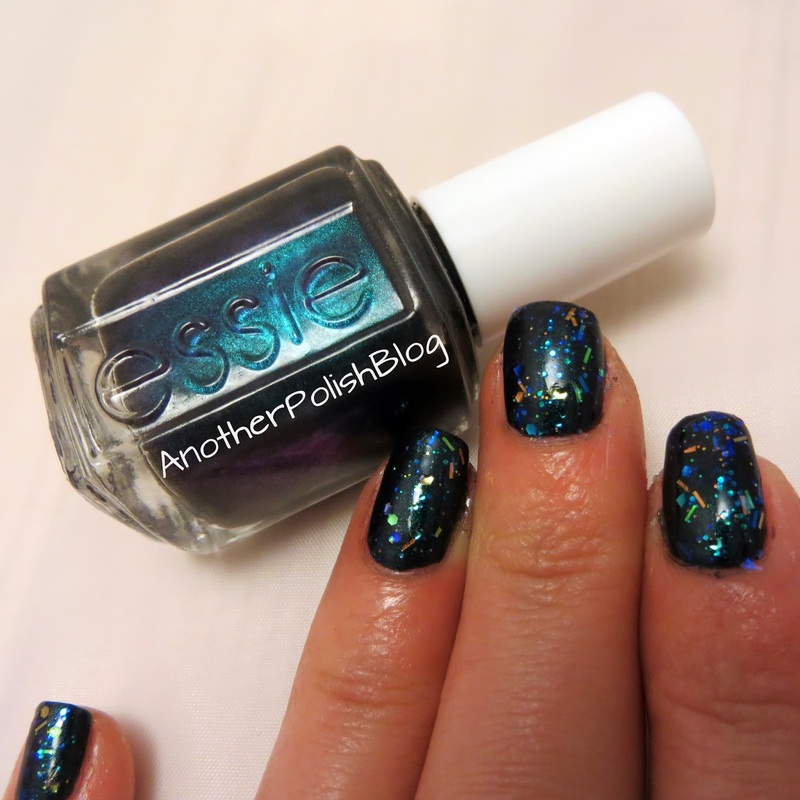 Today I have got another swatch of the Magical Musings collection by LacAttack for you. 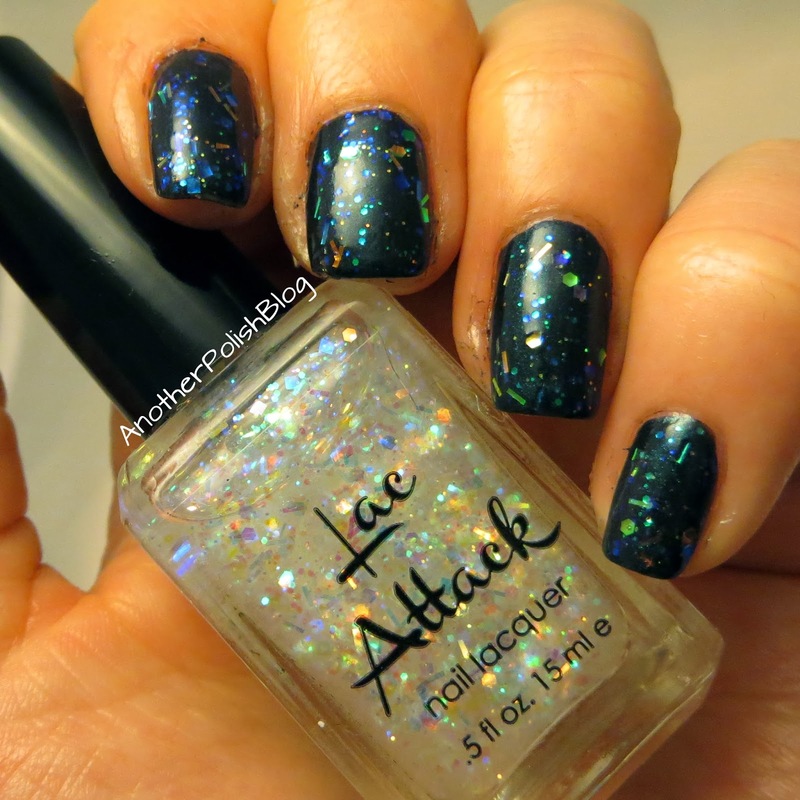 You can find all my other posts on polishes by LacAttack HERE. And now here's how I ended up with this funny title. I guess you all have read or at least seen Harry Potter once. I am a potter head, so when I got this polish and read the name the first thing I thought about was the scene when Tonks says: "Don't call me NYMPHADORA!" Nymphadora ist ein toller irisierender Nagellack, je nach Untergrundfarbe und Lichteinfall sieht er komplett anders aus. Ich habe hier eine Schicht Nymphadora über zwei Schichten Dive Bar von Essie lackiert. Er hat sich schön gleichmäßig verteilen lassen und ging hinterher auch wieder super zu entfernen. Nymphadora is a lovely iridescent polish, that looks different depending on the base colour and lighting. For these pictures I applied two coats of Essie Dive Bar and one coat of Nymphadora. It was super easy to apply and also vey easy to take off again. Die Lacke bekommt ihr entweder bei Harlow & Co. oder bei LacAttack. You can buy the polishes on Harlow & Co. or LacAttack.